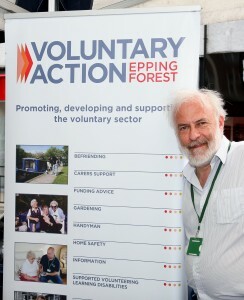 VAEF runs a number of projects in the Epping Forest district and surrounding areas. Click on the tabs below to read about each service. The Befriending Service funded by The Big Lottery aims to provide support and friendship for those living on their own or in isolation. This project was developed to address the need of the socially isolated by providing a befriending service across the Epping Forest District to the elderly aged 65 years or over and their carers and includes short respite for carers whilst social clubs operate. As well as offering weekly social clubs, Voluntary Action Epping Forest Befriending offers fortnightly day trips out which include visits to the theatre, boat rides and much more. These outings provide much needed stimulation to many whilst reducing their social/rural isolation improving quality of life and if required, we can provide transport to these clubs. In addition to the weekly social clubs and day trips we offer a volunteer home visit befriending service which provides a ‘friend’ who will be able to offer companionship by forming a trusting and supportive relationship offering a smile, a listening ear, links to other services and regular visits to the client’s home. All project volunteers are carefully screened and trained. Personal information is kept strictly confidential. he Handyman Service is a partnership between Epping Forest District Council and Voluntary Action Epping Forest which launched in October 2012. The service is funded by EFDC and provides a handyman service to tenants of EFDC properties provided they are over 60 and or disabled and have no one else who can assist them. Wishing to use the service? Contact is made via the EFDC Housing Repairs team on 01992 564199. The service will be explained further and referred to the Handyman where appropriate. The Handyman will then make contact and arrange to visit to undertake the work required. We aim to complete all work within two weeks of the referral being made, usually quicker. Materials used are sourced at the lowest possible cost. The service is FREE other than the cost of materials for those eligible as described above. Chris is a lovely man, so clean and tidy. It was lovely having him here, thank you so much. He has done all the little jobs, the curtains look lovely and I don’t have to get wet going to the washing line. Thank you. Mr S – We appreciate you doing the work. The standard of work and service provided was excellent. For Volunteering with a difference why not have a look at our Timebanking! We are an equal opportunities project and believe that everyone has the right to volunteer without discrimination. We have information on a great deal of voluntary opportunities available in Harlow and new opportunities arrive daily. Volunteers are needed for a wide range of roles, go to the ‘I want to Volunteer’ tab to find out what opportunities are currently available. 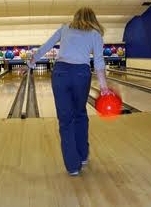 Active is a multi-activity project for people with Learning Disabilities. We have a range of opportunities to choose from to suit your needs. Are you interested in local wildlife and plants? Would you like to work in a group? 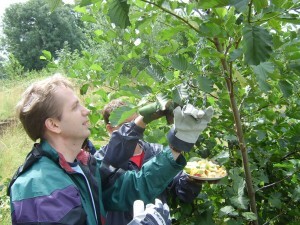 The Conservation Group is a small group of people with an experienced support or project worker. 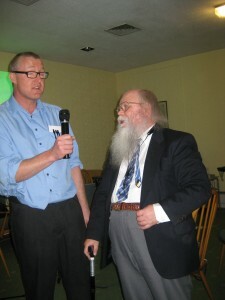 Would you like to join a local singing group? 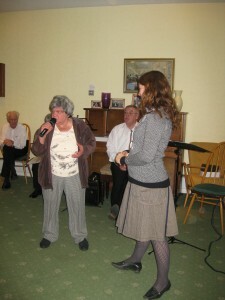 The Singing Group has worked with the Loughton Youth Theatre and visited older peoples homes for a sing song. We also perform at local events. 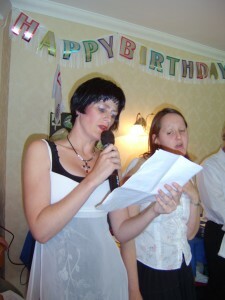 The Singing Group meets every Friday afternoon in Waltham Abbey. Do you like to grow vegetables and plants? 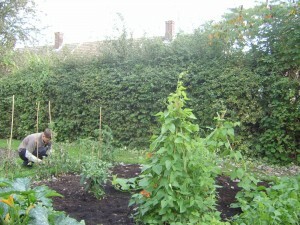 The Allotment Group is a group of 8 people working with an experienced support worker. We volunteer with residents of an older peoples housing scheme to grow plants and vegetables. We have fun and learn new things. 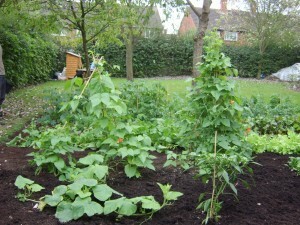 The Allotment Group meets every Monday from 10:00 am until 2:00 pm in Loughton. Would you like to make new friends in a friendly place? 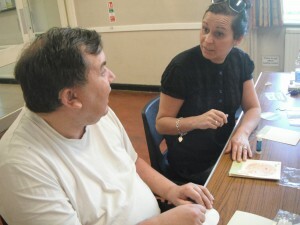 The Talk and Sort Group meets every Tuesday from 2pm until 4pm at the Jack Silley Pavillion, Epping. We run a range of different activities ranging from Community Art Projects to Indoor and Outdoor Sports Days to Discos and Trips out. New to VAEF, Ace Upcycling! 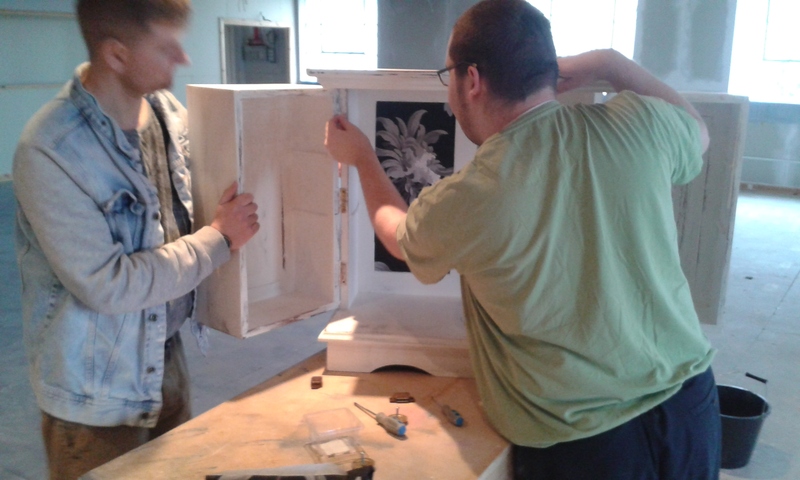 Ace upcycling is a small group of young people with Learning Disabilities guided by a skilled team of staff and volunteers, working in partnership with Epping Forest Reuse. 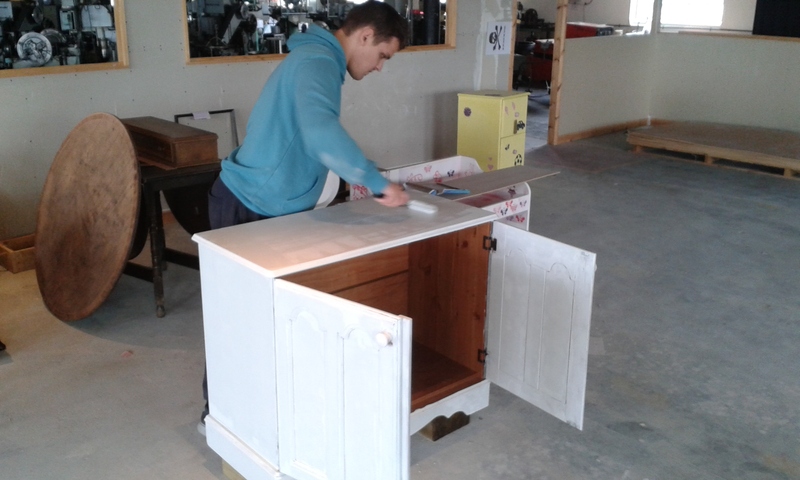 We transform donated pieces of furniture for resale to the general public at affordable prices. This service is chargeable to participants, £25.00 half day and £50 for a Full day. Visit The Jack Petchey Foundation website here. 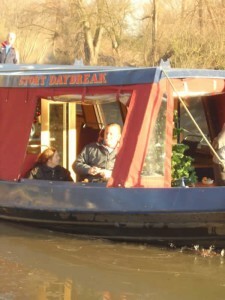 We organise fun things during the year such as canal boat trips, bowling, picnics and more. When gardens and lawns become overgrown, most of us find it a nuisance. People who are physically unable to do their gardens find it distressing, particularly those who are housebound. The aim of this service is to provide gardeners and volunteers to maintain the gardens of people who cannot do it themselves, free of charge. The work of this project contributes to independent living making clients feel much safer in their homes and less vulnerable. Clients have reported that an untidy garden can attract unwanted attention, inviting crime and making it difficult to access. 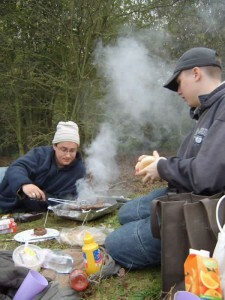 The Voluntary Action Epping Forest Gardening Service provides a free of charge practical service which enables people to go on living independently. 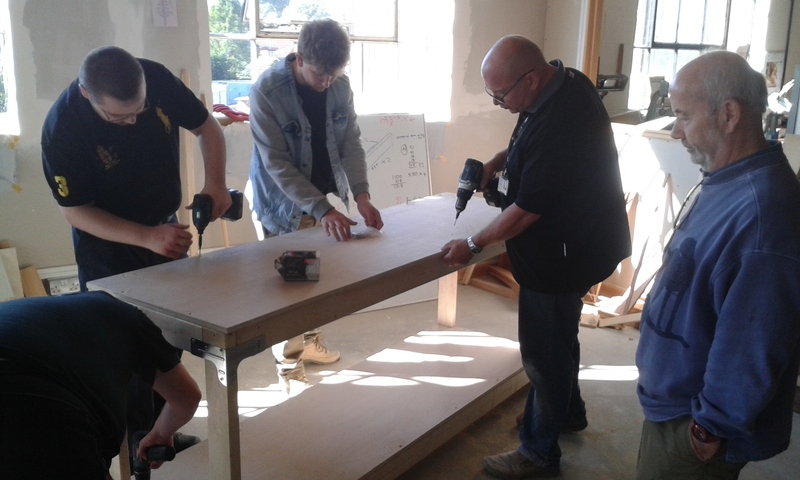 The project also brings together clients and volunteers who benefit from the social interaction of the project. This free service is available to residents of the Epping Forest District who are elderly, disabled, EFDC Council tenants and cannot maintain their gardens on their own and do not have family support networks. We also offer a chargeable gardening service for elderly, disabled homeowners in the Epping Forest District. 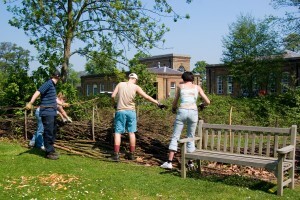 Voluntary Action Epping Forest’s Gardening Service is available Monday to Friday between February and November. No service is provided during December and January. We are looking for volunteers to help with our challenging and worthwhile project. If you would like to volunteer and make a difference to those in need of garden maintenance, please contact the Epping Forest Volunteer Centre 01992 564 256. Do you have jobs at home you are unable to manage? Are you over 60, disabled or in receipt of benefits? hanging pictures, curtains, fitting toilet seats, gardening and much more! If you are in doubt, give us a call and ask if we are able to assist you. Our friending team are experienced and police checked. The benefits advice and information project is available to those whose personal circumstances make it difficult for them to access services in their area or outside of the home. A home visit can be made and information provided on benefits available to the individual along with assistance to complete application forms. The service is available to those who live in the Epping Forest District. The Epping Forest Time Bank aims to help local people help each other, one hour at a time! If you already volunteer then you will make an ideal Time Bank member!! You can use your volunteer hours and bank them as credits to either get support from other people, or to put them in a Epping Forest Community Pot to help vulnerable people such as the elderly who may not have the credits to get help or support from others. For every hour you ‘deposit’ in a Time Bank, you can ‘withdraw’ the equivalent back in support when you need it. Timebanking is about sharing skills and time. Whatever your passion or expertise, everyone has something to offer!!! VAEF runs the TimeBank for Epping Forest and Harlow as part of the Essex TimeBank Partnership, supported by Colchester Community & Volunteer Service. Join this 12 week programme where you will get resources and encouragement to help you lose weight and be weighed weekly. Just drop in and sign up with VAEF between 12:00 and 13:00 next door to Epping sports centre. Voluntary Action Epping Forest is working in partnership with Anglian Community Enterprise (ACE) commissioned by Essex County Council to provide weight management programmes. The service is community-based and designed to support people to achieve a gradual, long term weight loss by weighing in at a variety of community sites, accessing the MWM online programme. Do you require support this winter or know someone who does? VAEF will be delivering services to residents in the Epping Forest District in support of Essex County Councils Winter Warmth Campaign. The service will provide help to those whose health and wellbeing is at risk during the cold weather. all of which will assist in keeping yourselves and your homes warmer. Please contact 01992 910 701 or Email info@vaef.org.uk where we will be happy to assist.